So here we are starting a whole new year of reading. I hope you find something new and interesting in this list. I try hard to find new to me authors to add and new genres and sub-genres to check out. I’ll tell you now, this list is already pretty full and I’ve even got books for 2018 listed on my home computer to track as it comes to press. Happy Holidays and a Happy and Healthy New Year to you all! Week of Jan. 22nd. – 31st. Goodwill towards men isn’t the Holiday Theme when Greg and Jill McKenzie are hired to investigate rumors that something isn’t kosher about a deal in the works to bring an NBA Basketball team to Nashville. When Greg goes off to meet an informant it is only to find the young man in question shot to death. This won’t be the only blow to his investigation because the whole case gets explosive including his Jeep. Greg is a retired Air Force investigator who works now as a licensed Private Investigator along with Jill his wife. Their tenacity and combined brain power are sure to win out over the crooks and wise guys trying to stop them. But between all the usual suspects, the unusual suspects, the unexpected suspects AND a felon who was released from Federal Prison without notifying Greg that this person was out? It’s going to be a real roller coaster ride till he fingers the bad guy and solves the case. 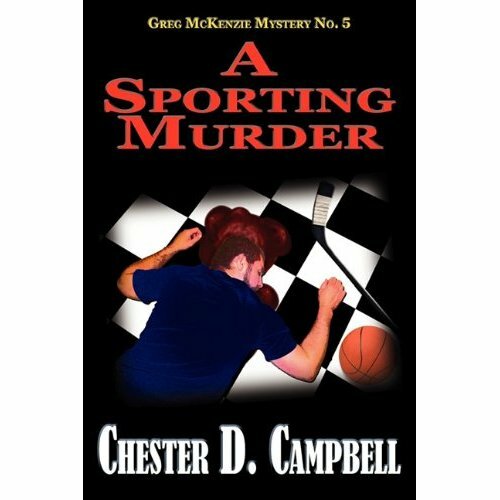 This is book five in the Greg McKenzie Mystery series and I’m new to it. I won’t be new anymore as I intend to read the backlist and all the new books to come. FTC Full Disclosure: This book was sent to me by the author in hopes I would review it.